Want the perfect letter tailored to your child? 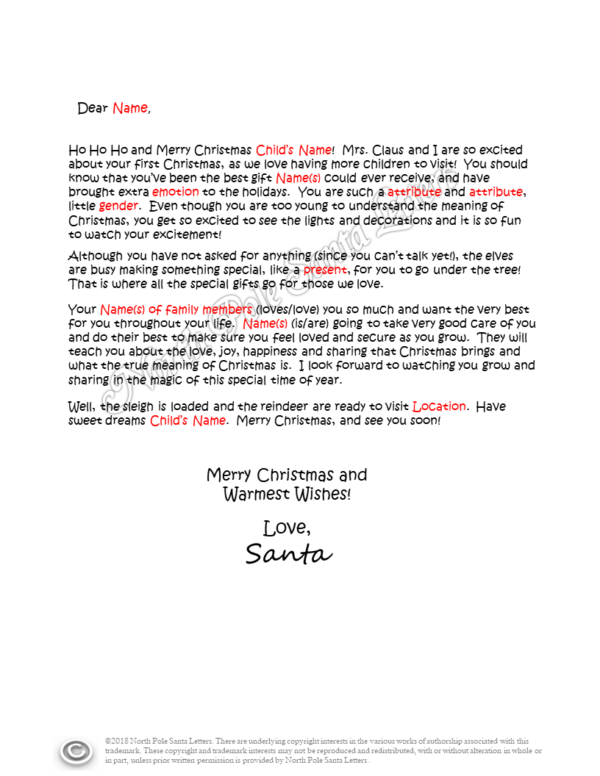 We offer the ability to write your own letter from Santa and we will format and print on any background. To choose this option, simply add the custom letter to your cart, and once in your cart, you will have the ability to upload a file with the letter you have written. Once received, it will be formatted to the background of your choice. Surprise that special child with a totally custom letter. 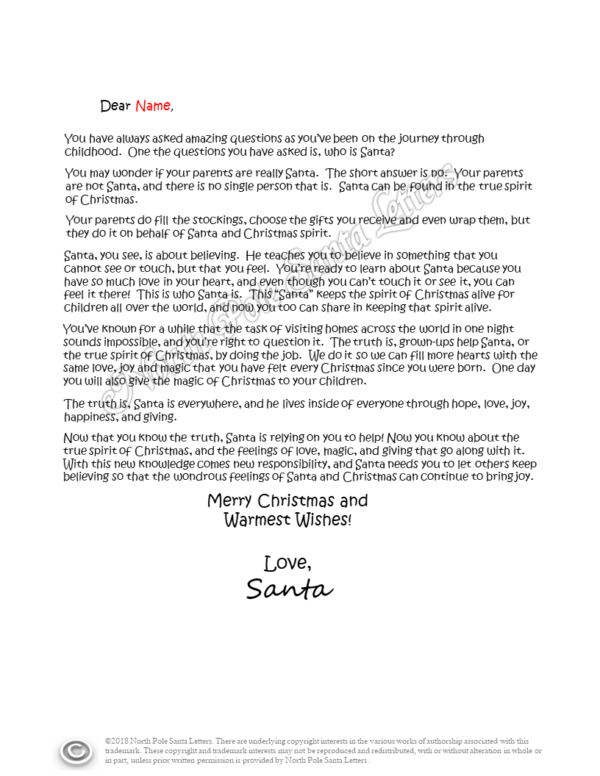 Only at North Pole Santa Letters.